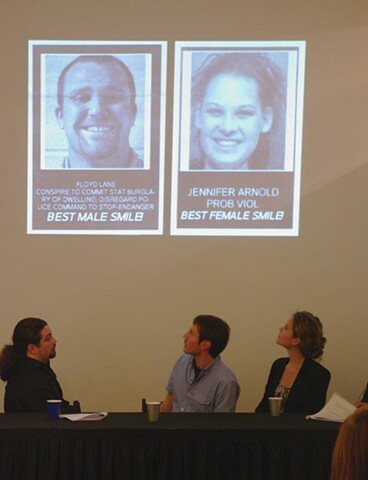 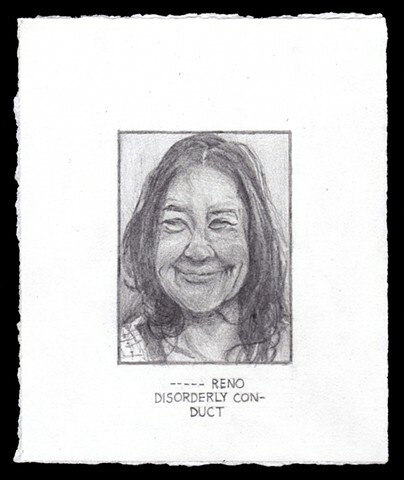 Tri-Cities Busted (Innocent Until Proven Guilty) is a series of portraits by Anna Kell and Jonathan Frey. 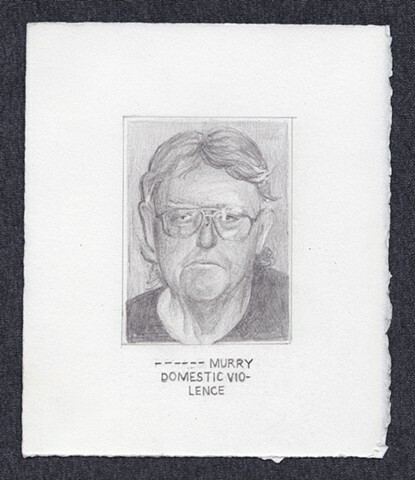 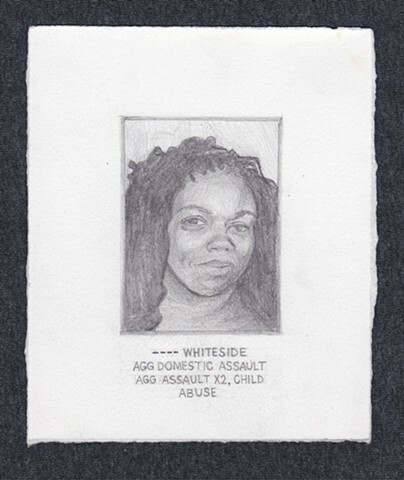 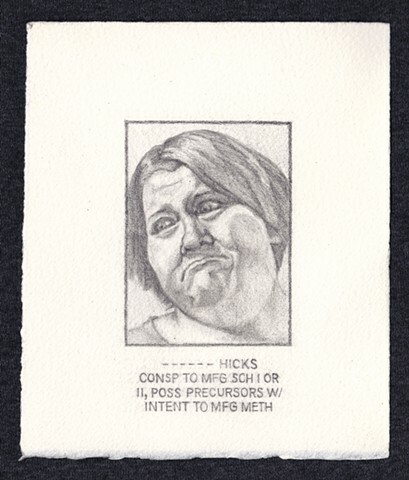 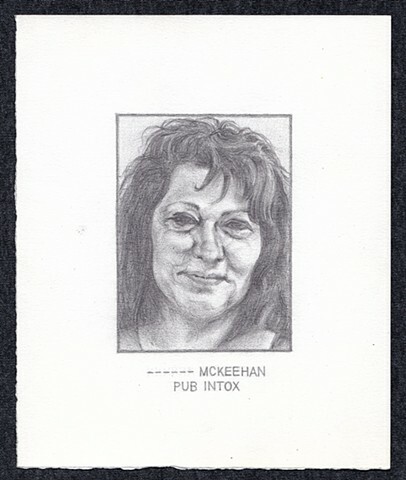 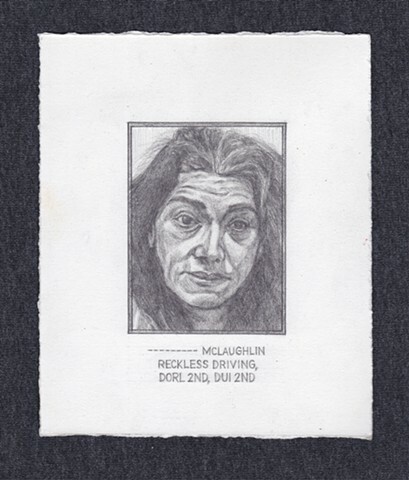 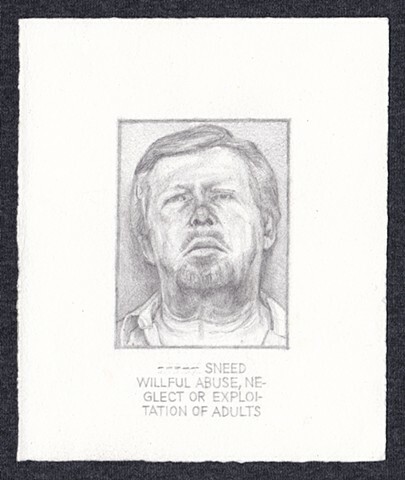 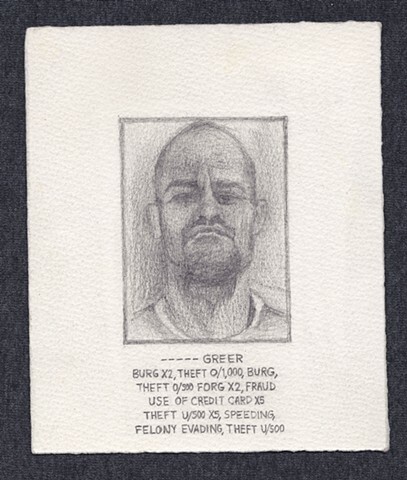 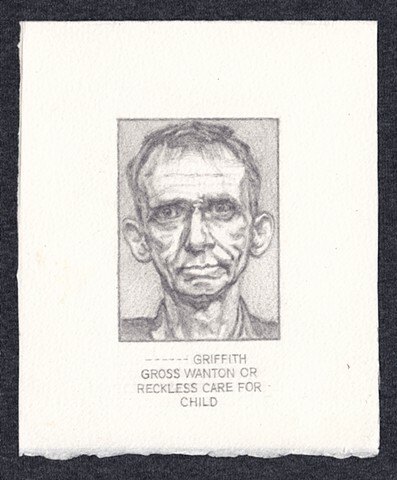 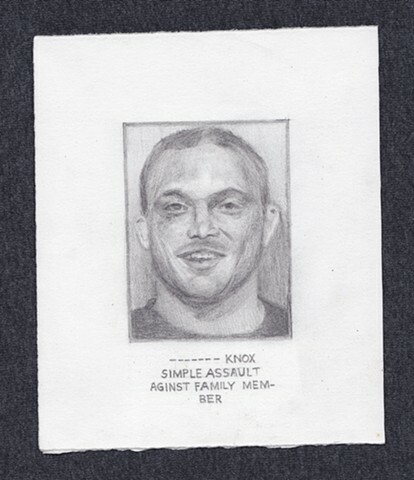 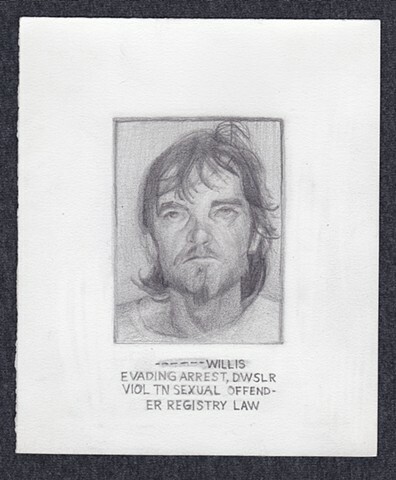 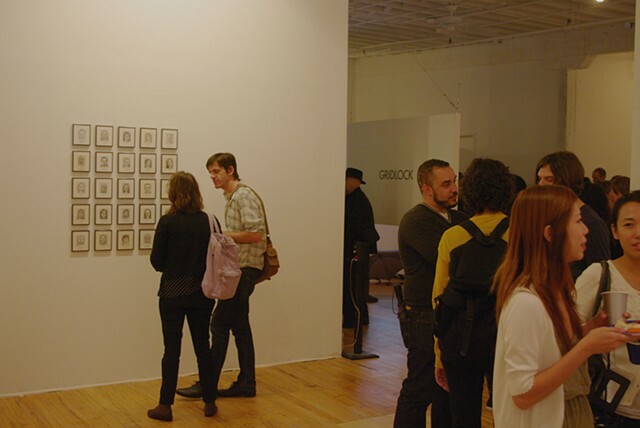 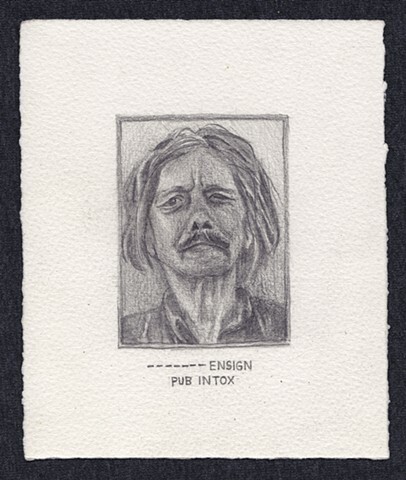 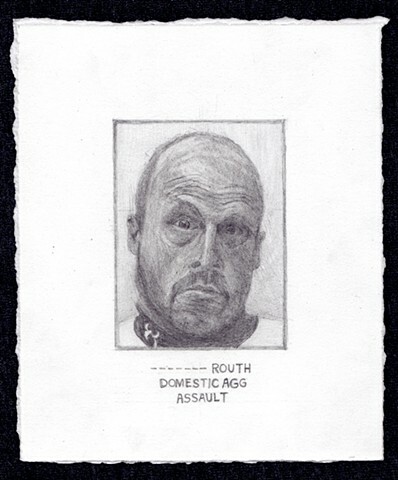 Each graphite drawing is made on a 6" x 5" piece of paper and translates a printed photo found in Tri-Cities Busted, a weekly tabloid that publishes and sensationalizes local mug shots and arrest records from northeast Tennessee. 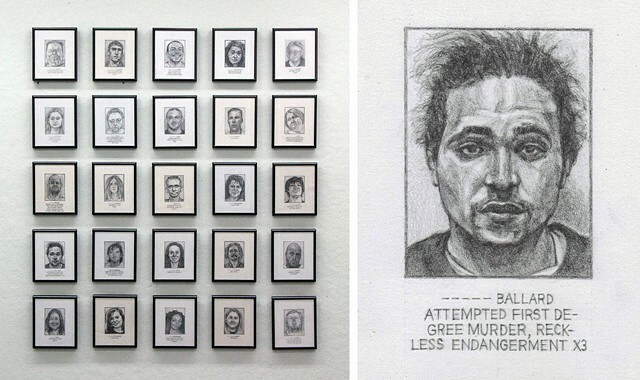 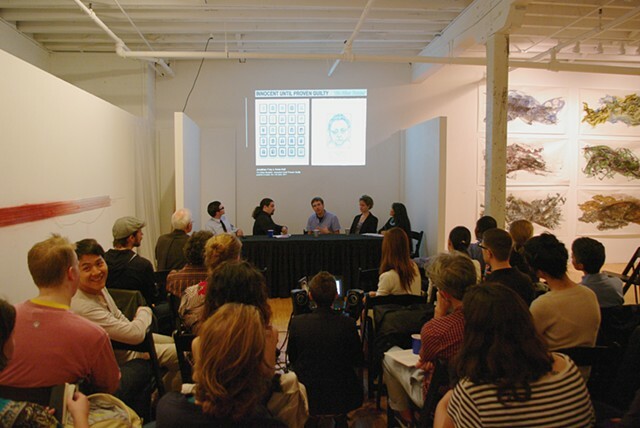 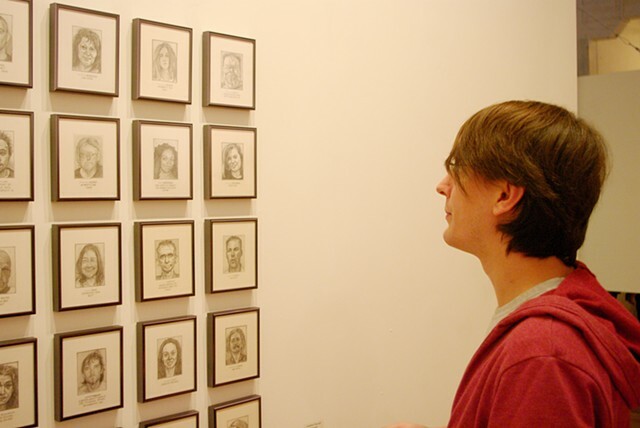 The drawings consider the relationship of these individuals to the local community, the notion of local celebrity, and the visceral quality of the mug shot. 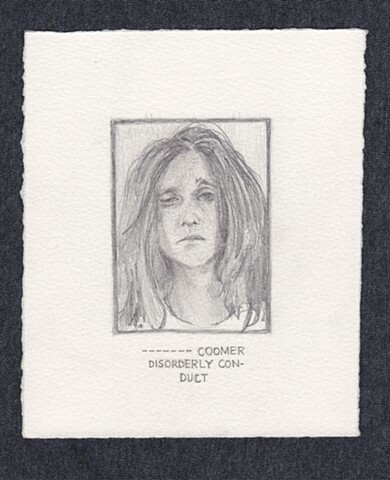 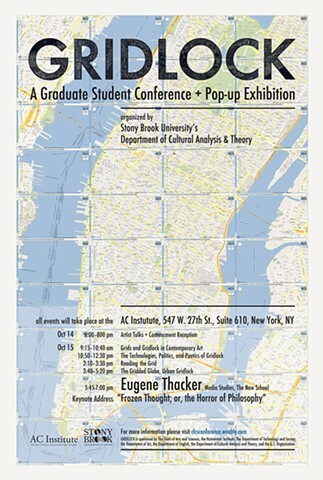 each drawing 6" x 5"
These drawings were presented and exhibited at GRIDLOCK, the 2011 Graduate Student Conference of Stony Brook University's Department of Cultural Analysis & Theory at the AC Institute in NYC.